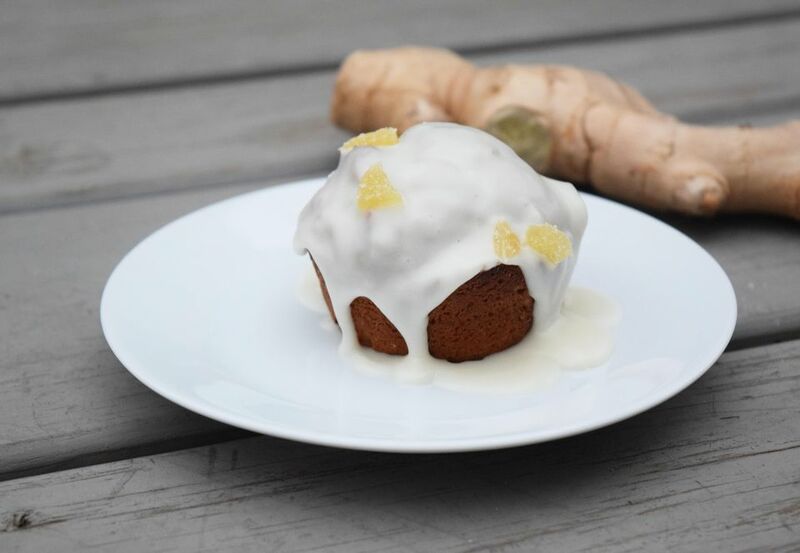 Gingerbread muffins are a super easy way to add holiday spice to your breakfast! They are topped with a maple glaze. The sour cream keeps these muffins super moist. It can also be replaced with applesauce or plain yogurt! The ingredients are mixed together in one bowl, so there is practically no clean up! As long as you butter the muffin tins well, you also do not need cupcake liners! I think they look prettier without the liners, but you can of course use them if that is your preference! These muffins are best served the same day, but you can store them in an airtight container for 2-3 days. It is also key to make sure you wait until the muffins are cooled to add the glaze. Make your holiday mornings simple! All you need are Gingerbread muffins and a plate of bacon. Yes, please. Beat together the molasses, sugar, and butter in a large mixing bowl or stand mixer until creamy. Add in the egg, sour cream, and milk until combined, scraping down the sides of the bowl if needed. Add in the spices and baking powder and combine. Gradually add in the flour until the batter is moistened. It should be rather thick and may still be lumpy. Do not over beat or the muffins will become too tough! Bake the muffins for five minutes, then turn down the temperature to 375 for the remaining 10-15 minutes of baking. The muffins are done when a toothpick comes out clean! While the muffins are cooling, whisk together the ingredients for the glaze. Depending on the thickness you would like to achieve, add more or less powdered sugar! Wait until the muffins have completely cooled before topping them with the glaze.